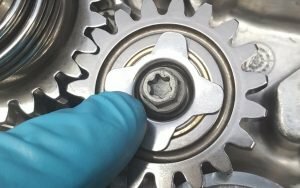 Archive by Category "Old News"
Some of the 2018 KTM 85 SX engines are suffering an internal issue caused by the weak idler gear retainer installed in them. The retainer is very thin and eventually bends, potentially leaving the idler gear able to come loose, and can even break the engine case. One of the main causes is kicking the Engine over far harder than is needed. Lynk’s Racing has devleoped a superior quality fix to be used BEFORE the engine case breaks. 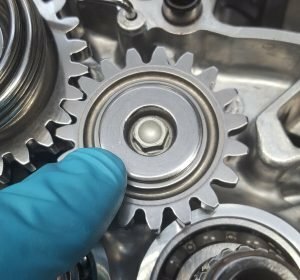 The kit will include a new retainer bushing, a longer bolt for sturdiness, and a new locking tab washer for the clutch hub nut. Lynk’s Racing designed a cast head for the KTM 85/105/112 SX. The head is made out of a much better material than other heads we have tested. In our testing, it runs 10 degrees cooler at the top of the head and it showed an increase of a little over ½ horse power. We designed the head with plenty of material between the water jackets so you can design any bowl. Also, the water jackets are much bigger to increase the cooling capacity. We have seen many two piece heads fail even when keeping the O-rings new. More information and pricing available upon request. 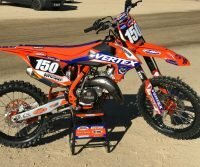 Motocross Action Magazine built a Ktm 150SX with the purpose of making it able to beat 250 four strokes. They chose to have Lynk’s Racing perform the engine modifications.